Upto Xerve Cashback for Your Pizza Hut Order will be credited to your Xerve Account within 72 hours. Always Login and Click-Out from Xerve to Pizza Hut before placing Every Pizza Hut Order and Earn Xerve Cashback on All Your Pizza Hut Orders. Note 1: Xerve might need Upto 72 Hours to track/obtain the details of Your Order from Pizza Hut and credit Xerve Cashback to Your Xerve Account. a. If you are redirected from Xerve to the Pizza Hut Desktop or Mobile Website, please Shop ONLY at Pizza Hut Website to receive Xerve Cashback. In this case, Shopping at Pizza Hut App will not help you earn Xerve Cashback. b. 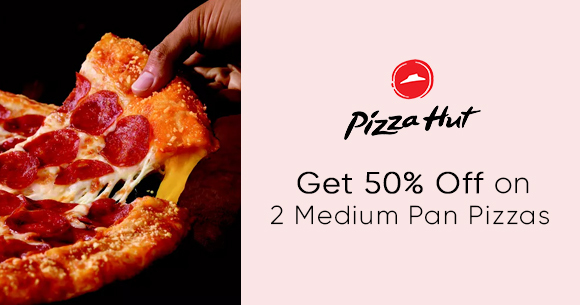 If you are redirected from Xerve to the Pizza Hut App, please Shop ONLY at Pizza Hut App to earn Xerve Cashback. 2) After you Click-Out to Pizza Hut's Website/App, PLEASE DO NOT VISIT ANY OTHER CASHBACK, COUPONS or OFFERS Website/App to ensure that you DON'T MISS OUT on Xerve's Mega Cashback.